It's been a very exciting 2017 so far, and we wanted to update you on all the latest at Boeschen Vineyards. We finally had a full dose of rain this winter and it's been one of our warmer summers, so the vines are off to the races. The fruit looks perfect, and we're excited to see what potential this vintage holds for us in the winery. We continue to focus on how we can improve what we do, and we'll be happy to discuss our evolving approach and technology when you visit. You can taste the differences. Thanks to everyone for your patience with our limited wine supply. Every one of this year's released wines has and will sell out completely upon release day, so be sure to update your accounts to confirm your allocations. Allocations will be finalized by September 10th, and the wine will be shipped (weather permitting) in time for the October 1 release day. If you've already tasted the 2014 Estate Cabernet that was released earlier in the spring then you know what a special vintage it is. 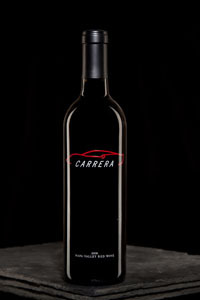 The upcoming 2014 Carrera Estate Blend reflects that quality. It is a rich and concentrated wine that goes down easy with or without food. We wish we had twice as much. Last year's release of our 2013 Estate Petit Verdot was awarded a 94-point rating by the Wine Enthusiast. While we think that wine was outstanding, this year's release, the 2014 PV, is even better. It is a seductive, dark purple powerhouse from a vintage already famous for its focus and strength. You're going to like it (a lot), but it will be 100% gone after release day. The Wine Club Harvest Work Party is back! Come join us Saturday, October 7th for a day of fun at the winery. We'll sort fruit together on the crushpad in the morning, and then have lunch in the gardens. As always, space is extremely limited and allocated on a first-come, first-served basis, so be sure to respond to doug@boeschenvineyards.com as soon as you know you can join us. 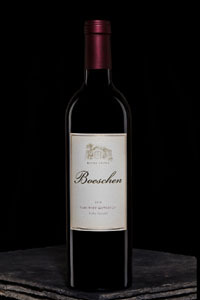 Boeschen Vineyards has been invited to participate in this year's Harvest Open House with Herb Lamb Vineyards and several other small "cult" Cabernet producers. This exclusive event will be held Saturday, September 23rd, from 1:00-4:00 at Tres Posti restaurant in St. Helena. Like the other wineries, we will be pouring several rare wines, including pre-releases and library vintages. Tickets are $50/person, but are available in advance to our members for $25 each. Please contact doug@boeschenvineyards.com for tickets and more information. 2017 has also been special because of the addition of the newest member of our team, Assistant Winemaker Geraldine Revie. She brings a wealth of winemaking experience and a harvest bin-full of positive energy and personality. We're sure you'll enjoy talking to Geraldine during your next visit. Until then, happy harvest!